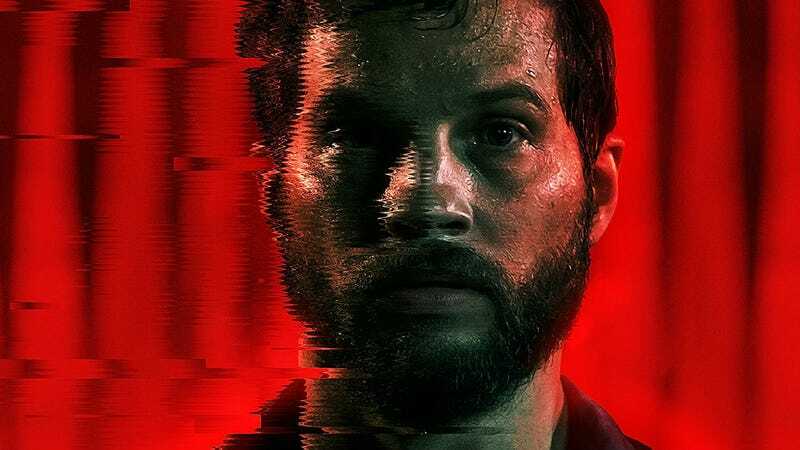 Tom Hardy doppleganger Logan Marshall Green stars in Upgrade. The plot of Upgrade sounds like a modern spin on RoboCop or The Six Million Dollar Man. It’s about a man who’s paraplegic who gets implanted with a mysterious new technology that makes him an ultra-powerful, deadly killer. The timing works out too because his wife was recently murdered and he wants revenge. Written and directed by Leigh Whannell, the co-creator of Saw and Insidious, Upgrade premiered at South by Southwest last month. Our own Evan Narcisse called it a “crowd-pleaser with bite” and said that despite it obviously being influenced by classic scifi of the ‘70s and ‘80s, Whannell did his best to avoid and upend those tropes. Now there are two trailers to illustrate just that. Here’s the standard green band trailer for Leigh Whannell’s Upgrade. And here’s the decidedly more violent red-band trailer. Even without Evan’s rave review (or the knowledge that it picked up a SXSW Audience Award), this movie just looks like it has a ton of awesome scifi action potential. We’ll get to see it all on June 1 when Upgrade, which stars Logan Marshall-Green and Betty Gabriel, opens in theaters.